This little piece is aimed at the aforementioned women in the lives of Guitar Players. Long suffering wives and mothers, who have long cursed the heavy black amps secreted away in hallways, the never ending trail of guitar cases littering hallways and landings, girlfriends who sit patiently in dirty, cold rehearsal rooms, listening to repeated offerings of half written songs and long guitar solo’s, before sitting in a pub gig listening to the same stuff again, and all the time offering encouragement and support in the way, only they can. After over 30 years as a professional guitarist, I have been more than dependent on the charity and good will of many females over my time. And I was reminded the other day of conversations I’ve had, where various mothers, wives etc have confessed their frustration at not being able to by Christmas gifts that were ‘guitar related’ because they felt they didnt know enough about what they were buying, or were afraid to buy something that was ‘wrong’. Well, as a little thank you from me personally, I thought I’d share a couple of ideas for christmas presents that are going to be well received, and the thought processes behind them. 1) A nice new pristine Jack to Jack cable. Now before you shout, ‘he’s got loads of them littering up his gig bag….’, thats the point. Every guitarist has a bag full of battered leads that line the bottom of a gig bag, or pocket of a guitar case, and not all of them are always in best working order. 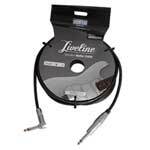 If your guitarist doesnt already own one of these (LN41473), then buy him one this christmas. Depending on what sort of music he plays (classical guitarists tend to already have these…) he may very well wonder about your thought process. 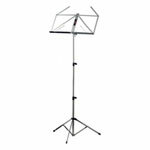 He may say ‘I dont use music!’, but remind him, this is for practise time. This is actually an obvious thing to buy a guitar player, but you’d be suprised how many don’t actually own one. Its one of those things that when you have some money to spare, there always seems to be something else just that little more important. But once you’ve owned one, you’ll never be without one. 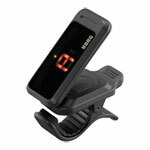 There are a couple of different prices available, the new KORG Pitchblack tuner for instance, is the latest in very fancy tuners which allow you to use different modes of tuning i.e. strobe meter etc. 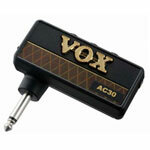 Its compact and tough and any guitarist would be overjoyed to receive it (LN47215). 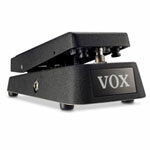 5) VOX Wah Wah Pedal. a) the one Hendix used, and b) the one they used on the film score of ‘Shaft’. 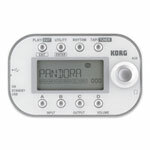 Almost done, (and he will be blown away by this), the Korg Pandora Mini is a veritable Pandoras box for a guitar player. He can use this with headphones, so again, he can sit alongside you and practise, while you watch the Telly in peace, and it has so many features, he’ll be constantly telling you of what else he’s discovered it does…. 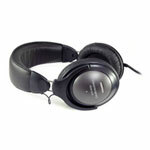 And finally, to work alongside some of the other gifts on this page, or just to make his iPod or iPhone a nicer experience, how about a nice new pair of headphones. 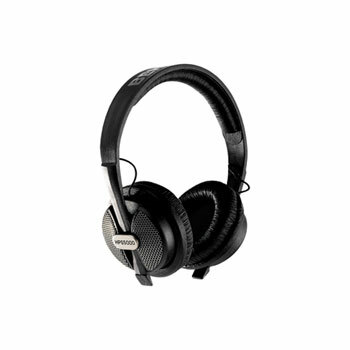 We have some VERY high end phones here at Scan, but either the Behringer HPS5000 or the Audio Technica M20’s are great value for money, and he will love you….. So, I hope this offers food for thought to the loved ones of our nations guitar players…. All of the above are available from the ScanPro Audio site, and here’s hoping whatever you decide to buy him, that you and yours have a very Merry Christmas and a Happy 2013.